December | 2015 | Mike Lamberti, From Margate To Cleveland, And Back ! Welcome to Mike DiPiano’s world, and on Dec. 22, 2015, ‘Big D’ will be in familiar territory when he dons a big red suit, white beard and black boots at St. Barnabas Medical Center in Livingston to ensure some special youngsters will have a memorable Christmas holiday. 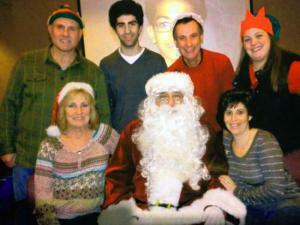 Michael DiPiano (front row, center) and his elves will be making some beautiful children smile at St. Barnabas Medical Center Christmas party on Dec. 22. 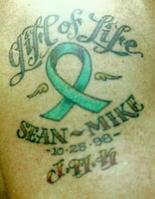 DiPiano honors ‘Sean’, the young man who saved his life, with a tatoo. Mike has extended his message to countless amounts of people, as well as groups and wrestling tournaments. A legendary grappling coach at St. Benedict’s Prep in Newark, the husband and father of three retired (so to speak) in 2012, moving with wife, Karen, to Florida. But Belleville is still home for the DiPianos, who are home for to spend the holidays with daughter Michelle and sons Michael and Frank. All three DiPiano siblings are successful high school coaches today, following in dad’s footsteps. In fact, youngest son, Frank, recently took a job at St. Benedict’s and appears to be following in his dad’s massive footsteps. For Mike, it really doesn’t matter what the condition. If that child can draw a smile from seeing he and his friends on Dec. 22, it’s all that counts. In January, 2016, the sixth annual ‘Organ Donation is a Major Decision’ high school wrestling tournament will be held at Nutley High School. It began five years ago, and has had numerous themes, with the most important the need to understand the significance of organ donation. The event was the brainchild of Big D.
It is indeed the true meaning of the holiday, and it will be wonderful to see Mike again on Dec. 22. There are many steps to building a successful high school football program. There, of course, is a need for committed coaches and players. That goes without saying. Building a program at the lower levels is vital, too. In addition, a program needs a good training staff, as well as volunteers who enjoy teaching kids the game. It’s not an easy proposition. And then there’s the extra perks that not all programs can provide. 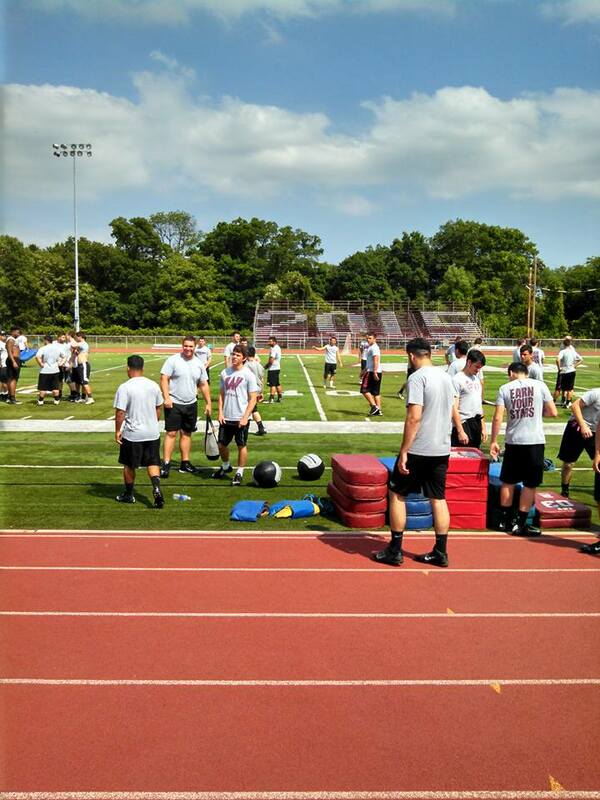 At Wayne Hills, a championship style program has been in effect for nearly two decades. And the commitment not only comes from the administration, coaches and players. There’s also a tremendous amount of work from a number of the players’ parents, mainly the moms. Starting in early August, and lasting until school starts in September, the football players enjoy breakfast, or lunch, before, or after practices, in the school cafeteria. During the season, there’s a beautiful dinner served before games, or if it’s a Saturday contest, breakfast is offered to the players. THANK YOU SO MUCH, TO (left to right), Lynn Pellegrino, Stephanie Petracco, Albina Sportelli, Terriann LoVerde, Ann Fiumarelli, Jill Gawrych, Cindy Skiba and Sandy Kenny, for doing so much to keep the football program at Wayne Hills thriving once again. And I’m not talking about a small portion of food. The Wayne Hills football moms go out of their way to make sure everyone has seconds. And the mothers are there to serve the food, and they ask for nothing in return. The players have long appreciated what their parents do to make a game day extra special. And the players reciprocate, but honoring their mothers at the Mother-Son brunch in October, and the Father-Son Beefsteak on Thanksgiving Eve. Wayne Hills football coach Wayne Demikoff couldn’t say enough good things about the work the football moms (and dads) perform. 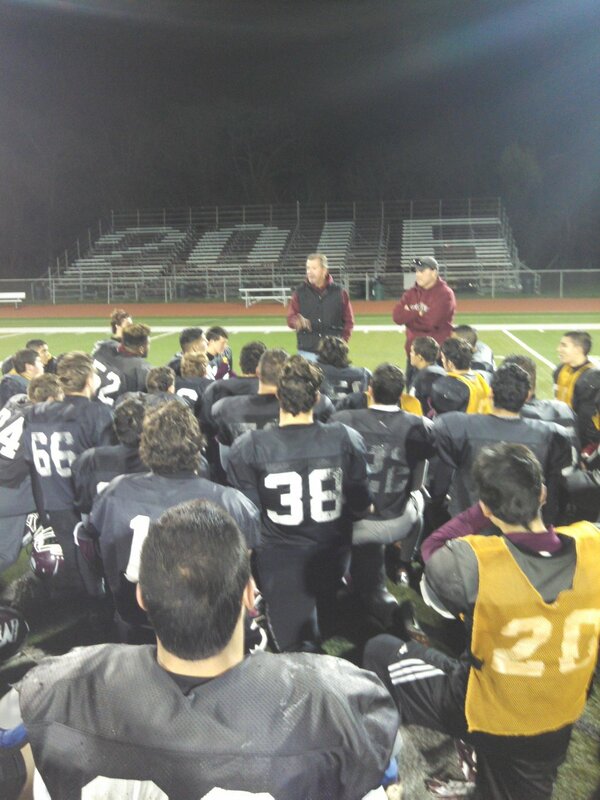 There were so many nice moments to the 2015 football season at Wayne Hills. Here are a few photos which tell the story. This was the first day of practice for the 2015 season, on Monday, June 8. Wayne Superintendent of Schools, Dr. Mark Toback, also visited that day, wishing the team luck. 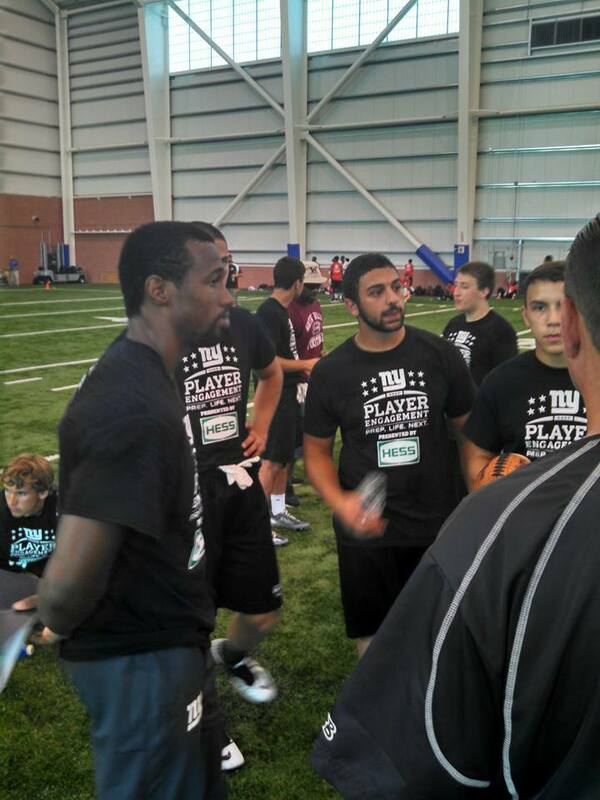 On June 10, a group of Patriots went to the New York Giants practice facility near MetLife Stadium to play in a 7-on-7 tournament. 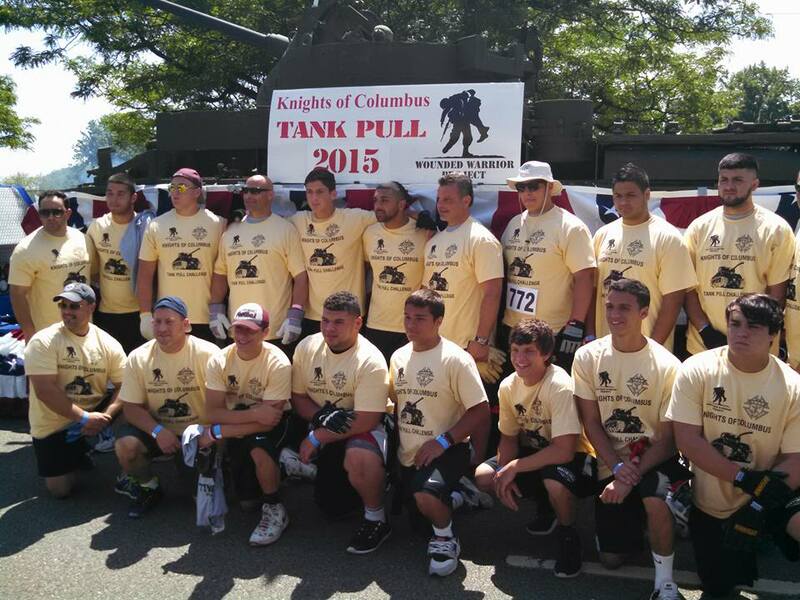 On Sunday, June 14, the Patriots participated in a tank pull to benefit the Wounded Warriors. And at that tank pull, Joey Kenny actually pulled a tank, BY HIMSELF….Incredible. On July 1, the Patriots five team captains for the 2015 season were chosen. From left to right, Sal Abbracciamento, Frank Petracco, Joey Kenny, Tom Skiba and Vincent LoVerde, with head coach Wayne Demikoff in the middle. Matt Sportelli was as good as they got on the line. He was also a marvelous long-snapper. 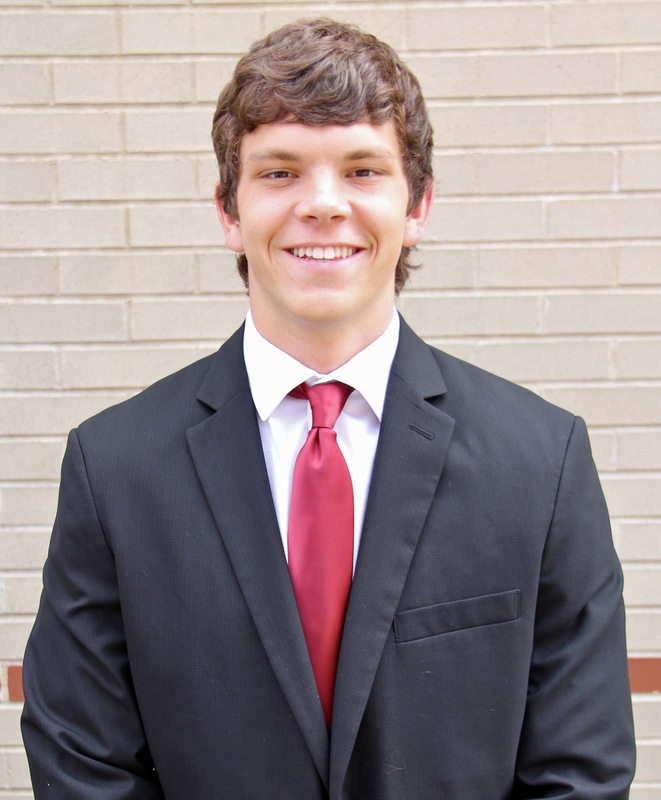 Tom Skiba comes from a wonderful family and is an outstanding young man. 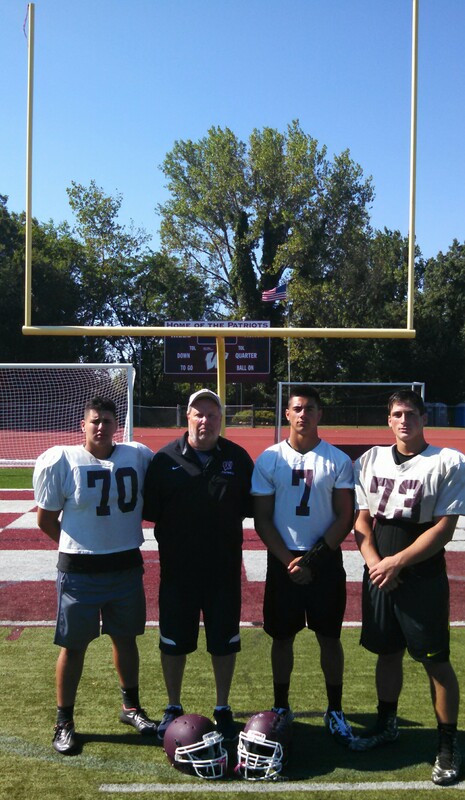 Special teams coach and the Czar, Walt Johnson, with (left to right), kicker Luca Catania, punter Brendan DeVera and long snapper, Matt Sportelli. Jason Modak, just a sophomore, should be a key player on future Hills teams. 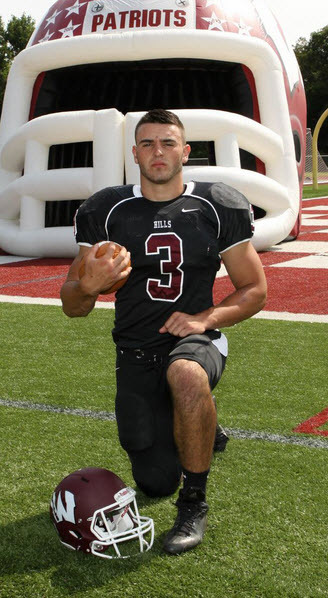 Luca Grave, a junior, led the Patriots in rushing, including an excellent game at MetLife. 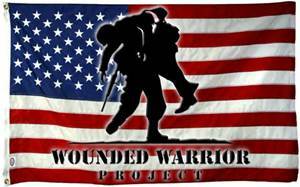 The Patriots marched onto the field, in a ceremonial parade, at Wayne Valley on Nov. 6, to honor the Wounded Warriors. 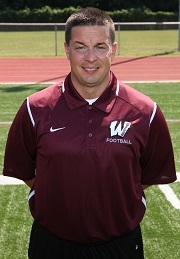 Freshman head coach Chris Dowling led the freshman team to an undefeated season. 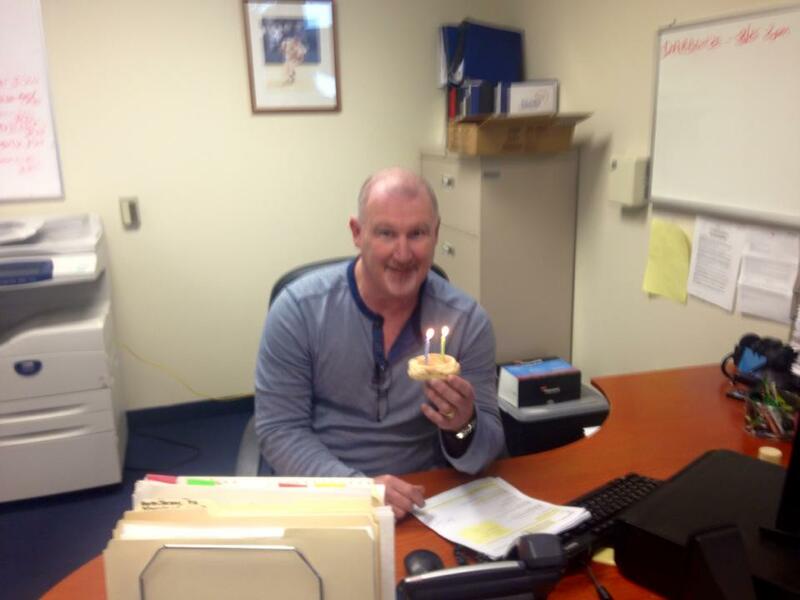 He also provided doughnuts and coffee to the coaches on many a late night Monday meeting. 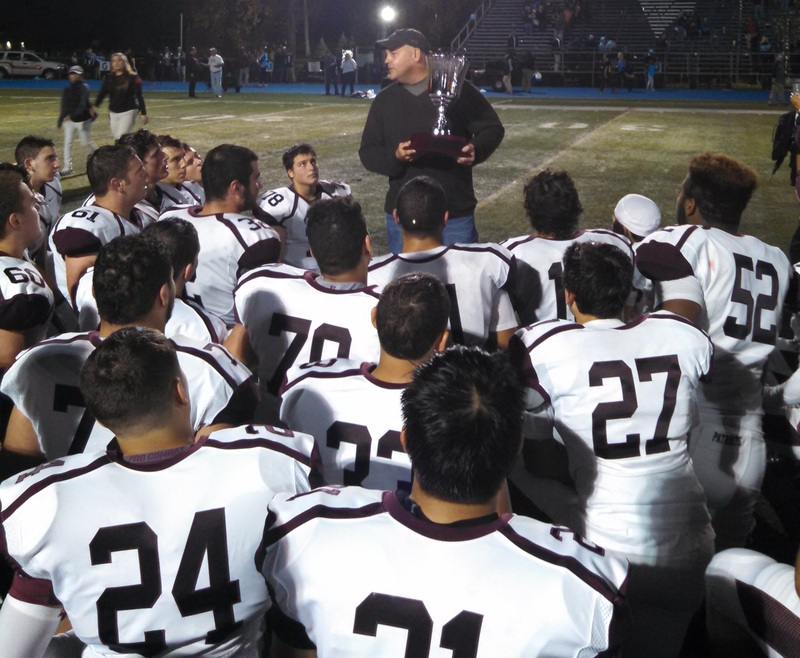 When Wayne Hills defeated Wayne Valley, Superintendent of Schools, Dr. Mark Toback, presented a trophy to the Patriots. 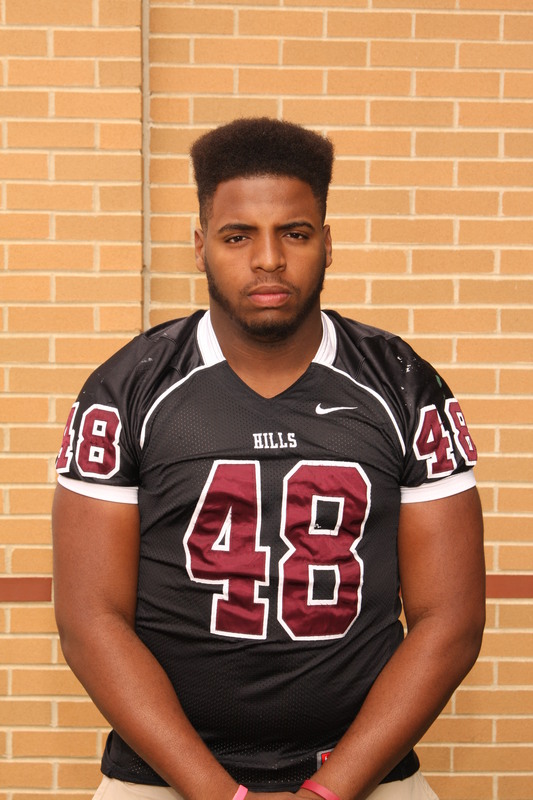 Senior Leyshawn Askew had a tremendous season on the defensive line for Wayne Hills. Joe Kenny, a senior, should be hearing from a number of colleges soon. 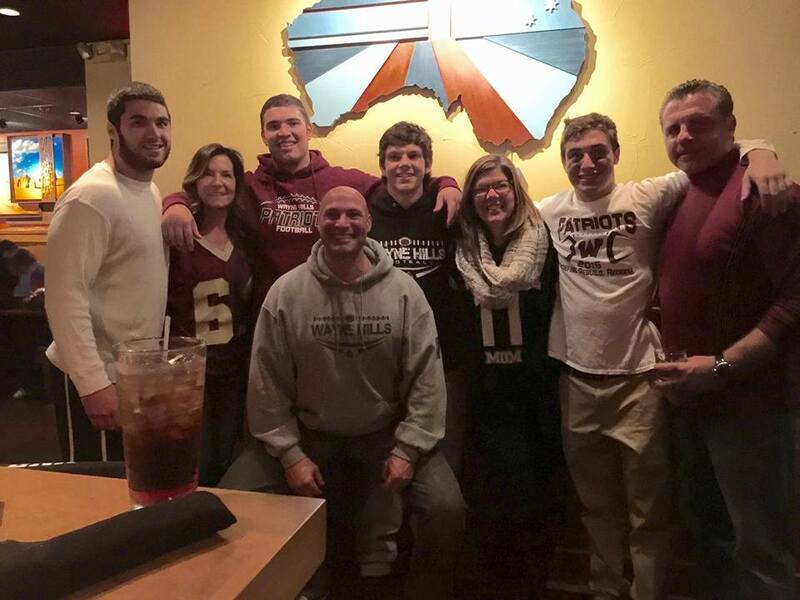 Following the win over Indian Hills, the Patriots ‘family’ celebrated at the Outback. 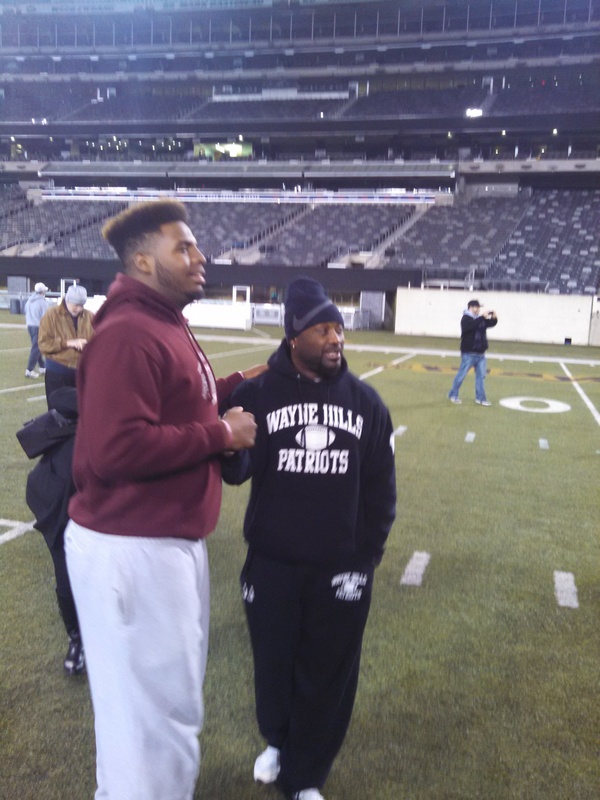 Leyshawn Askew got his first look at MetLife on Monday, Nov. 30 and enjoyed the moment with coach Jermain Johnson. Former Coach Chris Olsen returned to root on his Patriots at MetLife on Dec. 5. 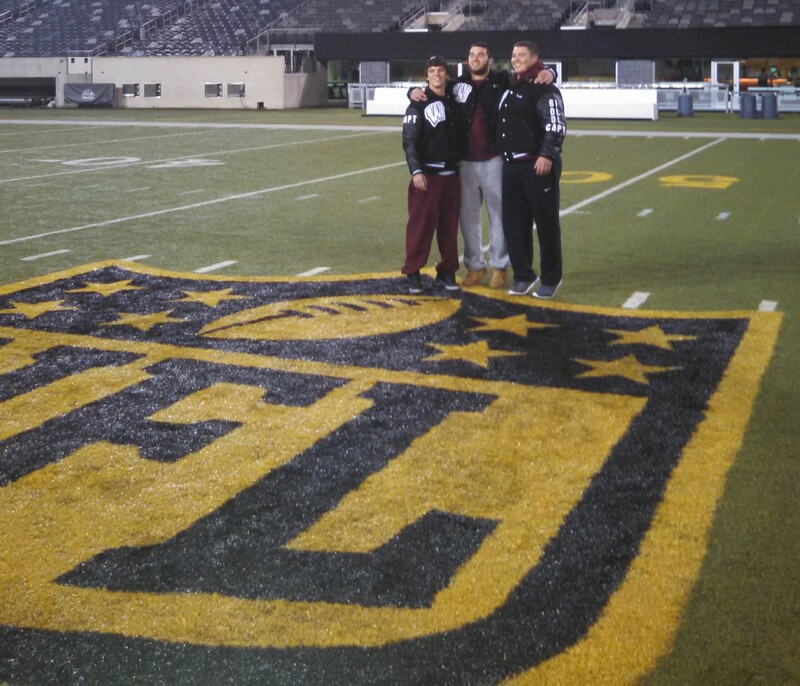 Team captains Tom Skiba, Joe Kenny and Frank Petracco were quite impressed with the facilities at MetLife. 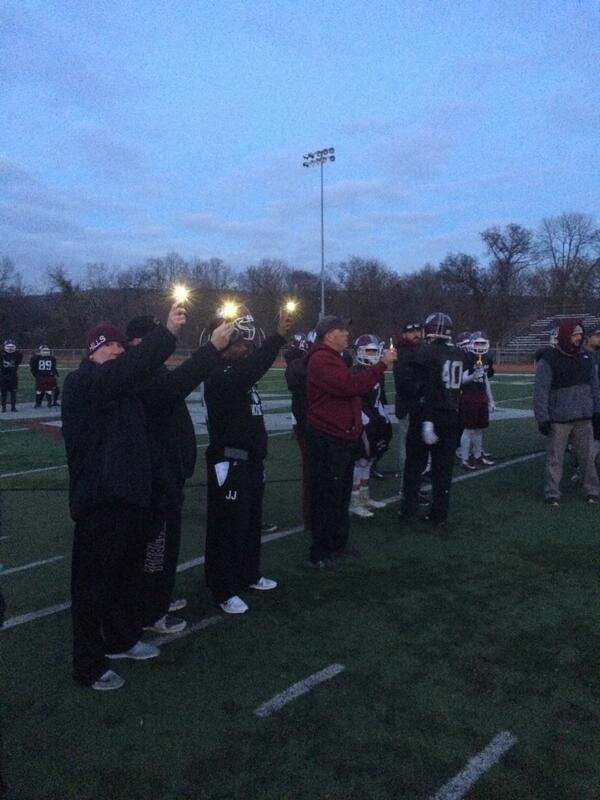 When the lights didn’t go on one night at practice, the coaching staff jumped in to help. The Patriots ended its season at MetLife Stadium. The team hopes to return there in 2016. THANKS TO THE SENIORS !!! The scoreboard may have read an Old Tappan victory in the North Jersey, Section 1, Group 4 championship game at MetLife Stadium on a gorgeous afternoon. 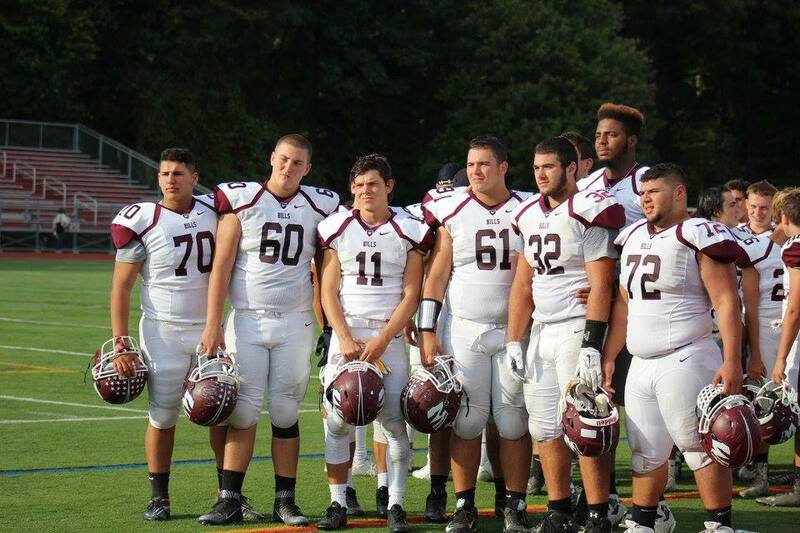 But for Wayne Hills, it was representative of more work to come, and a sincere appreciation to a really good group of football players. Old Tappan prevailed, 17-0, scoring all of its points in the second half after Hills pretty much dominated the first 24 minutes, but had no points to show for it. Leading to the trip to MetLife, the Patriots had practiced well for two weeks. Head coach Wayne Demikoff and defensive coordinator Jermain Johnson had a near-perfect game plan to slow down an Old Tappan offensive attack which was averaging nearly 45 points a game in its first 11 contests. On the offensive side, John Jacob had a good idea of what it would take to move the ball, and for most of the first half, the Patriots did just that. But two key scoring opportunities came up short, and Old Tappan would capitalize in the second half on a few Wayne Hills errors. The day had started with the Patriots arriving at the school before 8 a.m. It had a spirited walk through on its field before a good breakfast in the school cafeteria. As the team prepared to head back to the school, a few coaches and players spoke, briefly. Team captain Frank Petracco gave a stirring speech, talking about an evening, last summer, during the 10-day break the Patriots had in their summer schedule, and referring to a streaking star in the galaxy, while spending time with some of the team’s other captains. 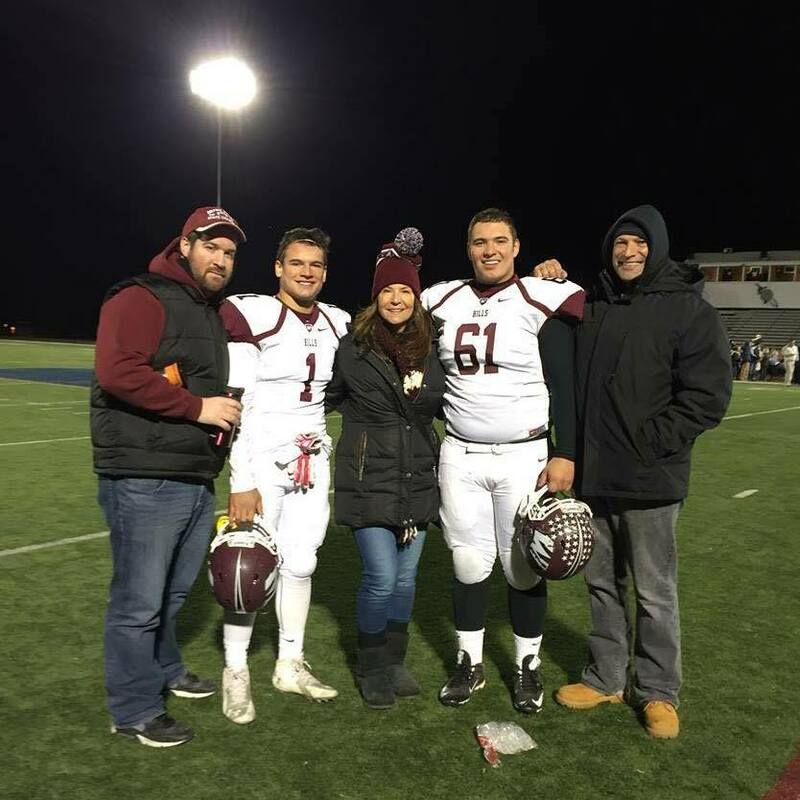 Frank Petracco (second from right) here with his family, after a win in the playoffs, was a tremendous captain and leader for the 2015 Patriots. Assistant coach Eric Dagati, who was vital to the team’s incredible off-season conditioning program, also spoke. 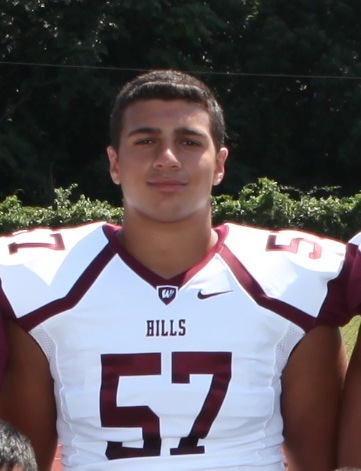 Justin Hogan, a 2015 Hills grad, was a freshman the last time Wayne Hills had played in a final. He was the heart and soul of the team from 2012-2014, but wasn’t able to play in a state final. 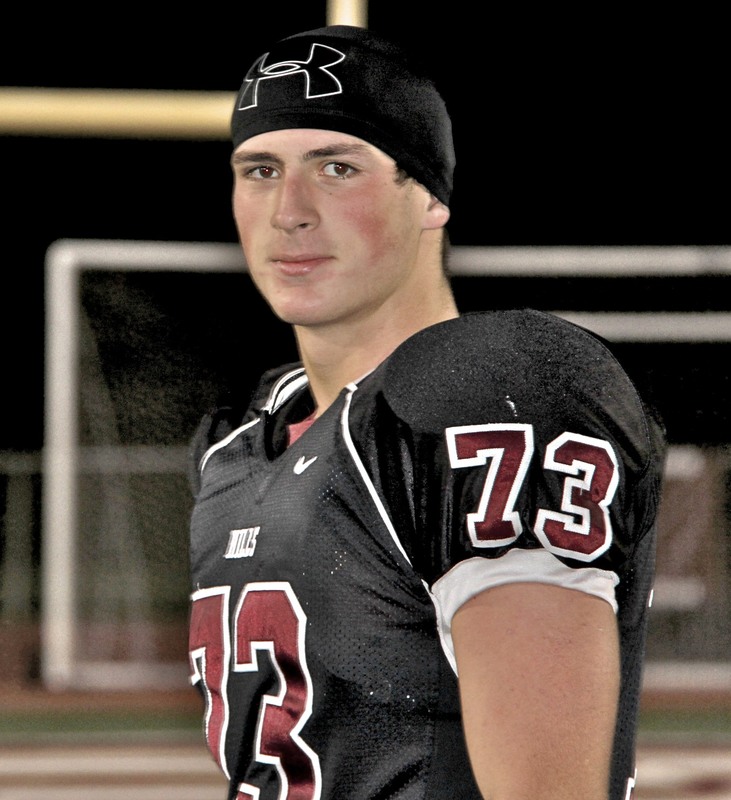 He is now a freshman linebacker at the University of Rhode Island. Jacob once called Hogan perhaps the hardest-hitting player he’s ever coached. 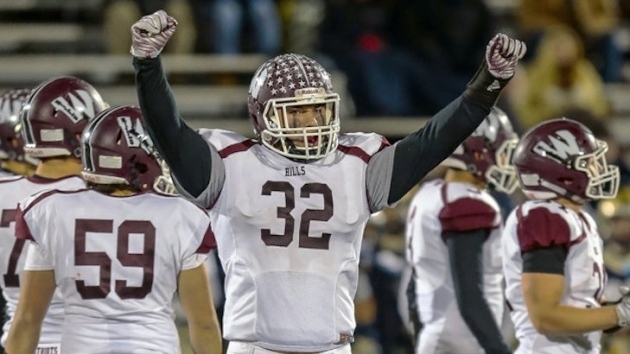 Justin Hogan relished his days as a Wayne Hills Patriot. Hogan has often said that playing college football is great, but there’s nothing like the times he had in high school. Demikoff often said that he wished he had Hogan for another season. And let’s not forget the five team captains this year, who were simply incredible. Demikoff couldn’t thank them enough for the marvelous season, in which the Patriots were 9-3, and won a Big North championship. Joe Kenny, Tom Skiba, Vincent LoVerde, Sal Abbracciamento and Petracco were not just outstanding players, but great kids, too. “I told them today, and I mean it, “said Demikoff. “Of all the years I’ve been coaching, this may have been the best group of kids I’ve ever worked with. There was never a day I couldn’t wait to come to work and coach these kids. And that goes for the coaching staff, too. We had great chemistry. Head coach Wayne Demikoff (center) was thrilled last summer when the team chose, from left to right, Sal Abbracciamento, Frank Petracco, Joe Kenny, Tom Skiba and Vincent LoVerde as team captains at the end of summer camp at East Stroudsburg University. FRIDAY, DEC. 4: It’s 3:30 p.m. and practice is about to begin. 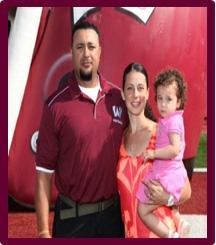 Offensive coordinator John Jacob, here with wife Denise, and daughter Sophia, has been a key part of the team’s success in 2015. At this stage of the season, Jacob knows there’s not much need for urging the team to get fired up. The Patriots are less than a day away from playing for a state title. Old Tappan awaits on Saturday afternoon, at 1 p.m., in the North 1, Group 4 final, at MetLife Stadium. The two weeks of practice leading up to Saturday’s final have gone very well. The Patriots are healthy, they’re playing their best football of the season, and everyone on the roster has one common goal, to win a state championship. At the conclusion of practice, the team continues a ritual that others have begun. 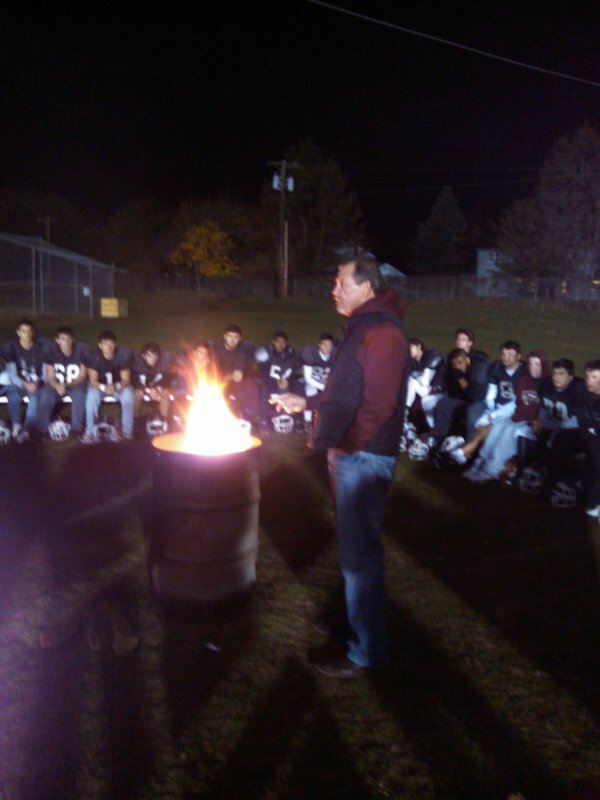 Players and coaches will write down, on a piece of paper, a regret they have about the current football season, then drop the paper into a fire, which is contained and burning in a garbage can. One-by-one, the players step up and express a regret. Some talk about not working as hard as they could have in a practice session, or in the weight room. Others mention a specific game, and how they felt they let their teammates down. The coaches also discuss what they’ve regretted. Some were more emotional than others. Tony Giampapa, who has been associated with the program for 20 years, brought with him a hat that bore the championship won by the 2009 Patriots. Problem was, however, the ’09 Patriots didn’t win. They were defeated in the championship game, by Ramapo, in a blizzard at the old Giants Stadium, 16-8. Giampapa recalled how he and the late assistant coach Jon Goldstein had the hats made, ahead of time, in preparation for what would have been the team’s sixth straight state title. Most of the hats were eventually placed in a dumpster at Giants Stadium after the loss. Goldstein, who died suddenly in January of 2014, would burn his ’09 hat after the game, as well. 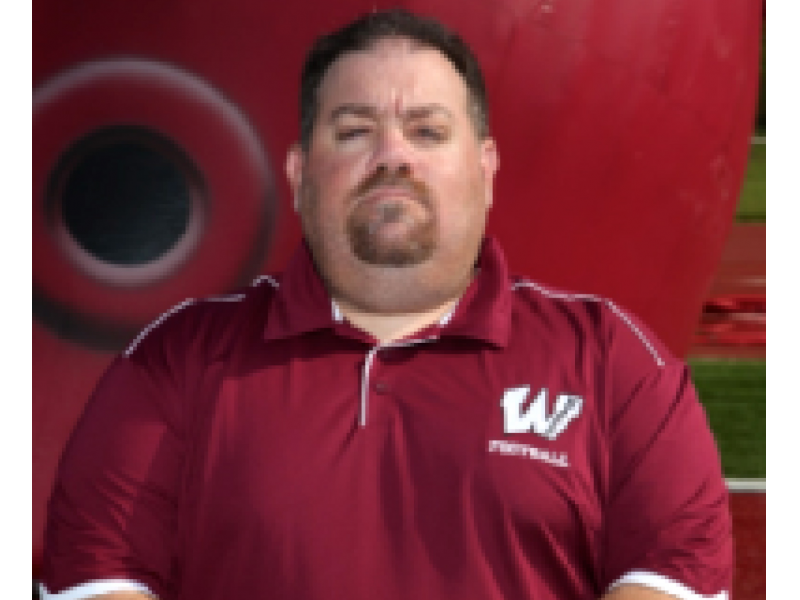 The late Jon Goldstein will always be a part of Wayne Hills football lore. Goldstein is also remembered at the regret burning by assistant coach Mike Zaccone, who wished Goldy would be on the sidelines on Saturday. The ‘Czar’, Walt Johnson, speaks of the tremendous team chemistry that this year’s Patriots have exuded, and credits the seniors for leading the way. Former coach Chris Olsen has returned to Wayne to watch his beloved Patriots play for a title. Olsen has been at practice the last few days, and participates in the regret burning. He tells the current group to have no regrets for tomorrow. Head coach Wayne Demikoff saves his speech for last. He praises the senior class for bringing Hills back to a championship game. Chris Olsen and Wayne Demikoff address the team following the final practice of the 2015 season. Some of the senior parents, along with alumni, have also stopped by the final practice. Frank Petracco’s mom, Stephanie, proudly tells a group that she did a cartwheel during the team’s visit to MetLife last Monday, then shows us the video on her phone. Vincent LoVerde and Matt Sportelli’s mothers, Terriann and Albina, are also visiting, taking photos and enjoying their son’s final practice. There’s a twinge of nostalgia, but also excitement about what lays ahead on Saturday. The time has finally come. The championship game is upon us. Starting Saturday morning, a few more blogs leading from the team’s arrival at the school, to the walk-through, pre-game meal and then the trip to MetLife. THURSDAY, DEC. 3: That voice was familiar, yet not as imposing. But in the background, a different voice was evident, yet somewhat laid back. 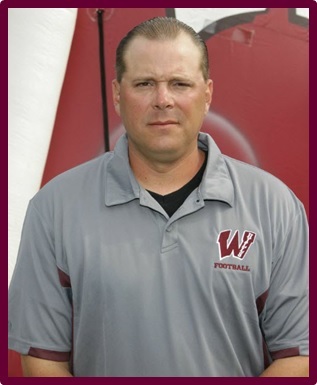 It was former Wayne Hills head coach Chris Olsen, who had just arrived from his home in North Carolina, and will be cheering on his team this Dec. 5, when the Patriots travel to MetLife Stadium to take on Old Tappan, starting at 1 p.m, for the state sectional championship. 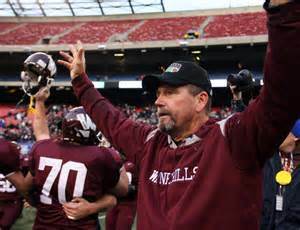 Chris Olsen (here at Giants Stadium during his days as head coach) hopes to be celebrating another football championship at Wayne Hills on Saturday, this time at MetLife. Olsen’s accomplishments at Hills are well documented. He was head coach for 26 years, leading the program to eight state championships, as well as 14 appearances in the state final. Since retiring after the 2012 season, he’s stayed pretty low-keyed, having moved, with his wife, Sue, to North Carolina to be closer to middle son, Greg, a star tight end with the NFL’s Carolina Panthers. He’d often text me during a Hills game to check on the score, but until this year’s season opener, when the Patriots visited Graham High School in North Carolina, Olsen hadn’t been to a Patriots game since his last contest as head coach, on Nov. 30, 3012. Olsen offered some encouragement as he watched practice, telling Demikoff on a few occasions that he felt the team looked real good, especially on defense. Assistant coaches would stop by and say hello to the coach during practice. Olsen was especially pleased to see Pat Cosgrove, Hills’ longest-tenured assistant coach. Cosgrove and Olsen go back to Olsen’s days as head coach at St. Cecilia High School, and Cosgrove has been with Olsen since, with stops at Bergenfield, Paterson Eastside and, of course, Hills. Assistant coach Pat Cosgrove and former head coach Chris Olsen have been friends for nearly 40 years. Olsen would also comment on a few occasions that he had forgotten how cold it can get at the field, when the sun sets and the wind picks up. When practice ended, Demikoff spoke briefly, as he always does following practice, to the players at midfield. Olsen didn’t want to take away from Demikoff’s message, but was clearly fired up for the team. The team took the long walk back to the locker room, from the field. Inside, Demikoff was talking to a few of his senior players, as the kids prepared to head home. 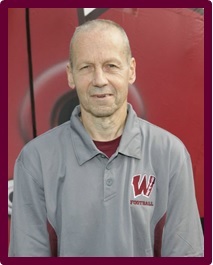 Wayne Demikoff has been on the coaching staff for all of Wayne Hills’ eight previous state championships. On Saturday, he’ll be a head coach for the first time in a state final, coaching a group that he admits he’s very fond of.